Freedom Chair riders aren't just our customers—they're part of the GRIT family. Today's Rider Spotlight features Noel Meyer! Read on to learn about her adventures. Noel was born with congenital hip dysplasia. When she was born, her feet were facing backward, and realigning them required a large number of surgeries and two years in a body cast. “Everything is double-jointed. It bends in ways it’s not supposed to. I am capable of walking, it’s just ridiculously hard. Standing is ridiculously hard . . .
Why did Noel decide on the GRIT Freedom Chair? Noel lives in the suburbs of Chicago. She can’t drive more than a half an hour every couple of days, so she uses the trains to get into Chicago, but then needs a reliable piece of mobility equipment to get herself around the city. To get some additional funding for her GRIT Freedom Chair, Noel applied to the Challenged Athletes Foundation (CAF) grant program. 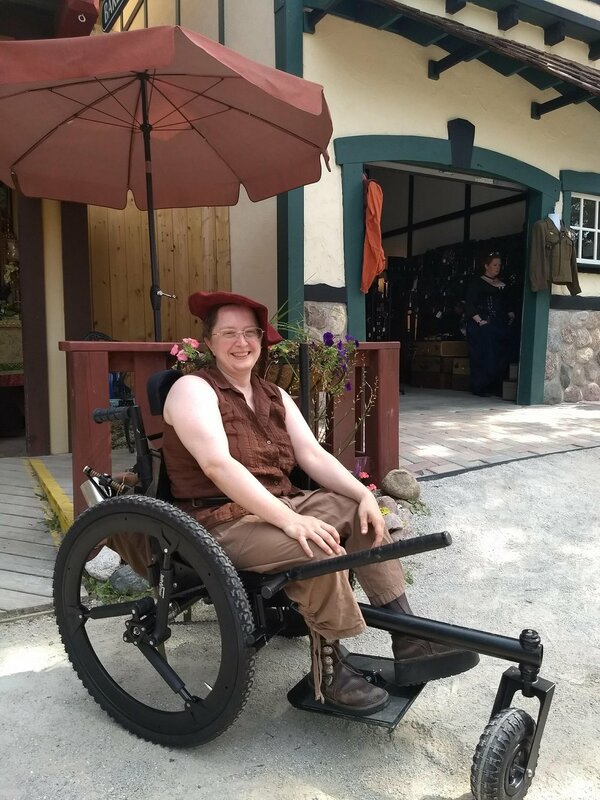 She was concerned she may not be awarded a grant because she doesn’t consider herself an “athlete.” But she learned that CAF is all about encouraging people of all abilities to get active. “[If you are] not an athlete, find someone who is professional who can speak for you and say, ‘Yes they are going to get out and use this’ . . . my personal trainer was more than happy to. 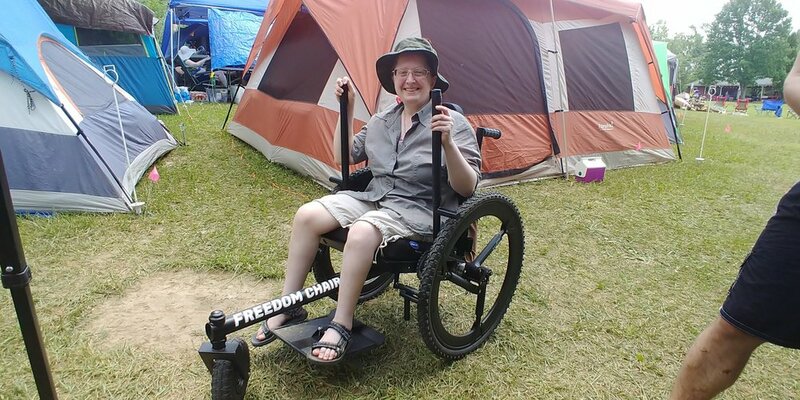 What activities does Noel enjoy doing in her GRIT Freedom Chair? 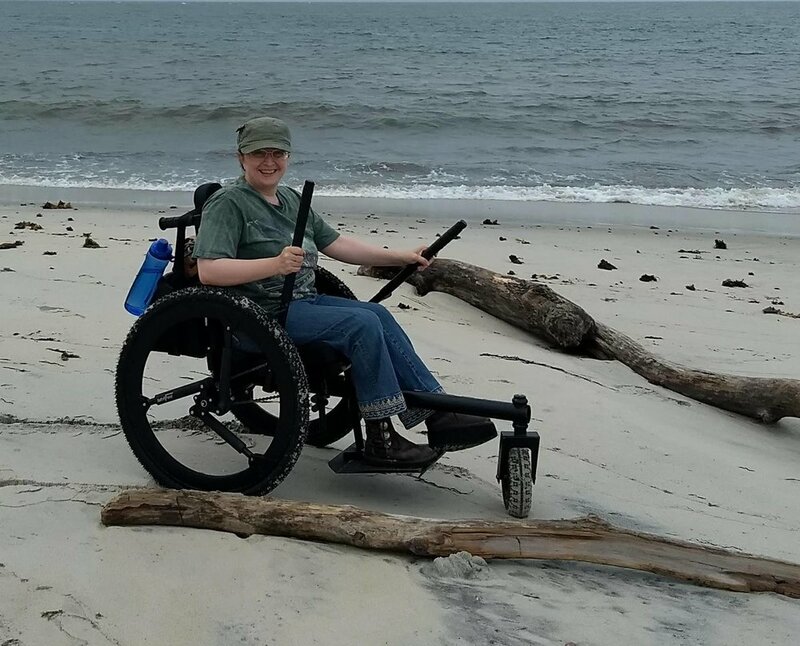 Noel took her Freedom Chair with her on a trip to historic Savannah, GA.
Noel also enjoys making her mobility equipment her art, and has plans to “steampunk” her GRIT Freedom Chair like she did to her original wheelchair. However, even just getting out around her neighborhood can be an adventure for Noel. What is Noel’s favorite thing about the GRIT Freedom Chair? Noel loves that the Freedom Chair’s design allows it to be easily modified to fit her unique body.